Last year we left 'wild books' around the island for people to pick up, read, and pass on. It was an awful lot of fun tracking where those books ended up, with reports coming in of books turning up in London, Manchester, County Wicklow in Ireland, Blair Atholl horse trials, and even North Carolina! You can still tweet updates to us about these using the hashtag #IBFwildbooks. We'd love to keep hearing from you! This year we're doing two social media campaigns. We have 'Where Will You Read Yours? ', where we're encouraging people to tweet us pictures of their favourite reading spots. We have a lot of great spots for reading on Islay, and local photographer Ben Shakespeare has been making the most of them with a few of his fantastic pictures taken to help us get this off the ground. You can send us your pics on Twitter, Instagram or Facebook using the hashtag #WhereWillYouReadYours. Our other campaign involves an author take-over of our Twitter account! Starting next week, some of our authors have volunteered to run our Twitter account for a few days each. They will be announced in advance so you'll know who they are, and they're invited to post anything they like. So keep a close eye on the account every Wednesday and Thursday from next week, as it'll be your chance to find out more about them, to interact with them and ask them questions, and even to share some tips on what to see on Islay while they're here! The hashtag for this is #authorinvasion. The other hashtags we're using for the festival this year are #IBF18 and #IBF2018. Both will do, so please don't forget to have a bit of fun with us over the next few weeks and to post your pictures, quotes and feedback from this year's festival at the end of September. We look forward to tracking the festival online! Last week we welcomed Edinburgh-based American poet Ryan Van Winkle to Islay and Jura to offer a series of poetry workshops in each of our island schools. These were organised in collaboration with the WW100 Islay project and aimed to help each of the schools create a short poem based around the local WW1 experience of Islay and Jura, and ultimately one combined school poem for the WW100 commemorations in May. Ryan faced a number of challenges, not least of which was how to fit 7 poetry workshops into just 4 days and how to put up with Isla’s driving and chitchat! But he also had to work out how to present not just poetry but the tricky theme of WW1 in a way that was accessible and enjoyable for schoolchildren ranging in age from 8 to 14. All of this during a cold, snowy week in the Southern Hebrides! The workshops were very well received, in particular by an excited bunch of primary school students. Port Charlotte Primary thought that Ryan was “awesome” and the pupils at Bowmore’s Gaelic medium unit thought it was one of the best days at school they’d had. One particularly enthusiastic student declared, “You’re the best person I’ve ever met!” They seemed to like him, and the feeling was mutual! The students worked on personification, using this as a technique for focusing on the war memorials dotted around Islay and Jura, and also talked about what they would miss about Islay/Jura if they had to go away. With Ryan’s encouragement, the students produced some lovely lines for their poems, which we hope to share with you in due course. During his visit, Ryan also recited his evocative and moving poem, 'The Watcher', at the Tuscania commemoration held at the American Monument on the Mull of Oa and at Kilnaughton military cemetery on 5th February, a poem he’d written especially for the occasion. It was particularly poignant having Ryan in attendance, as an American, to help remember the American servicemen who lost their lives in the Tuscania wreck and to recite his poem at the graveside of Private Roy Muncaster, the only remaining American buried on Islay. Ryan is now back in Edinburgh busily tidying up the schools’ poems and weaving together the combined poem for 4th May, which will also be based around the students’ workshop contributions. We’ll report back on the project, and the poems, as it all progresses. So we started our year by attending Islay High School's Volunteers Fair on 10th January. We tried to engage the students with a number of fun activities, which included guessing the titles of two mystery books; guessing the weight of a stack of books (once person was spot on! ); we had a book quiz and the chance to win a £30 National Book Token; and finally we had an 'add a sentence to the story' game that continued throughout the fair. Well, a lot of people have been asking to find out what happened in the story, so here it is with all its bizarre plot twists and turns! It was a cold and windy night in Bowmore and the rain was beating against the windows of the Round Church. The sounds the wind was making echoed all around the graveyard. The woman in the red raincoat glanced nervously at the headstone. Tears ran down her face and memories came flooding back, of feelings of failure and disappointment. She was unable to move. If she did, who knows what would happen? 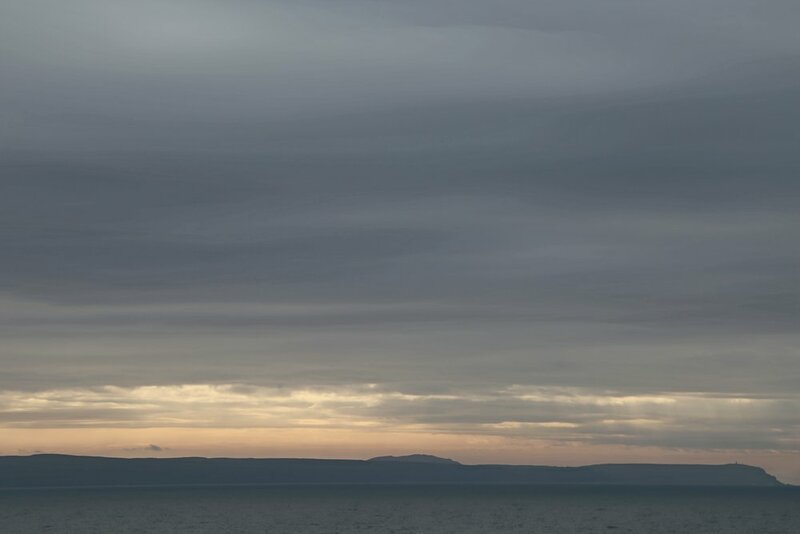 Years past and one long summer's day Fip [now a woman] stared thoughtfully into the long blue horizon. It was wet and rainy. The terror of past events haunted her waking memory. She said, "I know some slamming door puns, you'll open up to it." Then she sat down and did nothing. She then walked to the door and said, "Peep once, peep twice, peep thrice up the spine of [???]." Next up will be our Islay Show story at the beginning of August! Here are some initial images from this year's festival, with thanks to our volunteers and the very talented Michael Gallacher. We'll share more soon! Pauline Prior-Pitt's Islay Poetry Challenge! 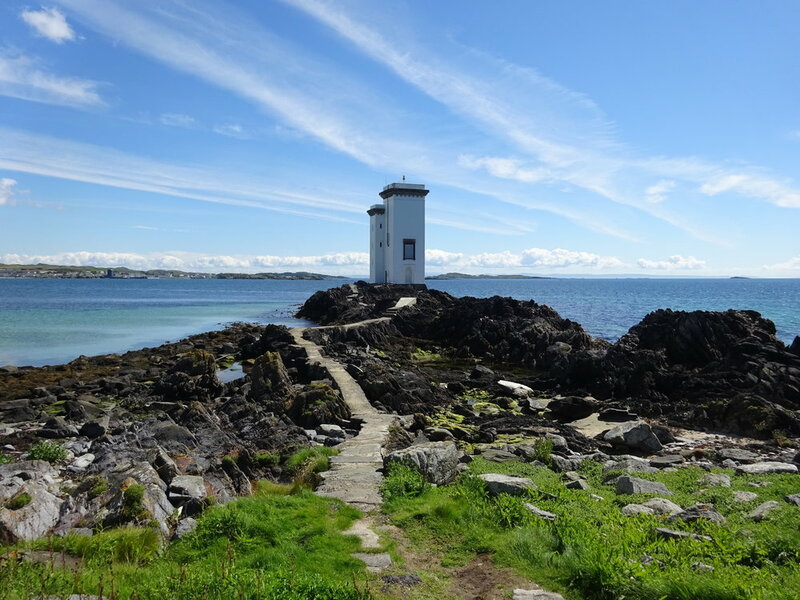 If you were writing a poem about Islay, what would you include? Which words spring to mind first? Whisky, waves or willow warblers? Ceilidhs, cows or camper vans? Well, we're setting a bit of a challenge for award-winning poet Pauline Prior-Pitt. 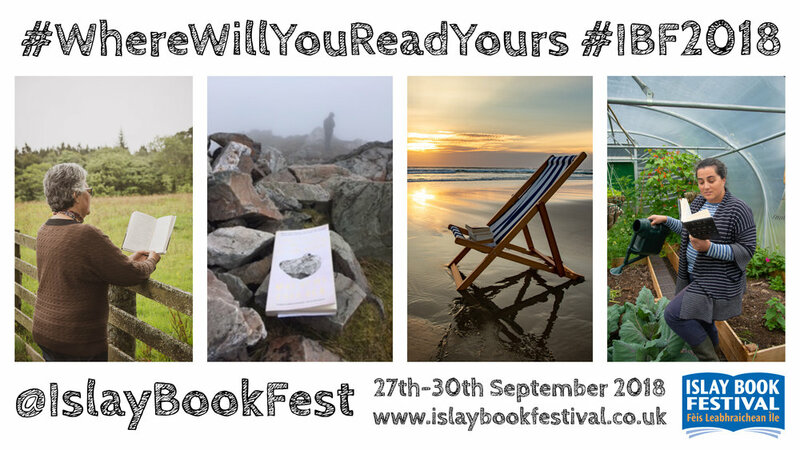 Pauline will be asked to create a real-time poetry composition for Islay over the Book Festival weekend, based on word contributions sent in from the public! Pauline will then read her Islay poem at the end of her Sunday afternoon session. We will also have a board up over the Festival weekend, so you'll be able to drop in and see how things are taking shape, or just to add another word to the poem!